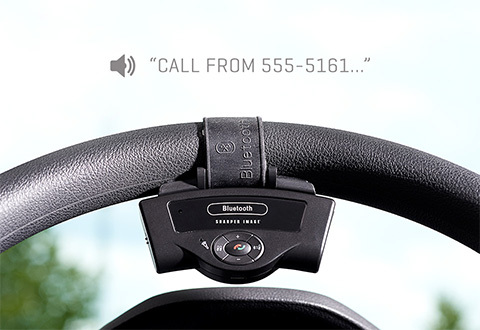 The rechargeable Steering Wheel Bluetooth Speakerphone lets you make hands-free calls while you’re driving. 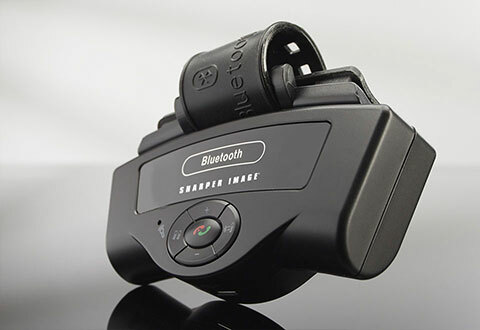 Simply strap it to any steering wheel and pair it with your smartphone via Bluetooth. Supports two different phones at the same time. Features caller ID, call waiting, volume control, last number redial, mute button and adjustable volume. 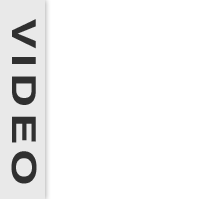 Compatible with all iPhones, Samsung Galaxies and all other Android smartphones. The rechargeable Steering Wheel Bluetooth Speakerphone puts the safety and convenience of hands-free phone calling into any car, no matter what year, make or model. 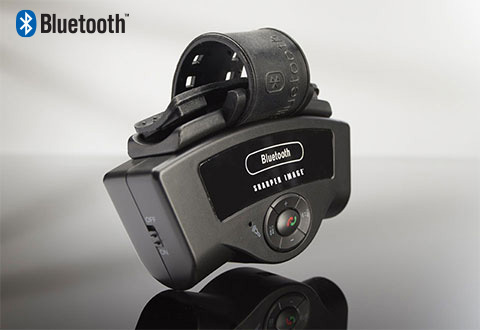 Keep your hands on the wheel and your eyes on the road with this must-have auto accessory from Sharper Image! • Bluetooth range: 30 ft.